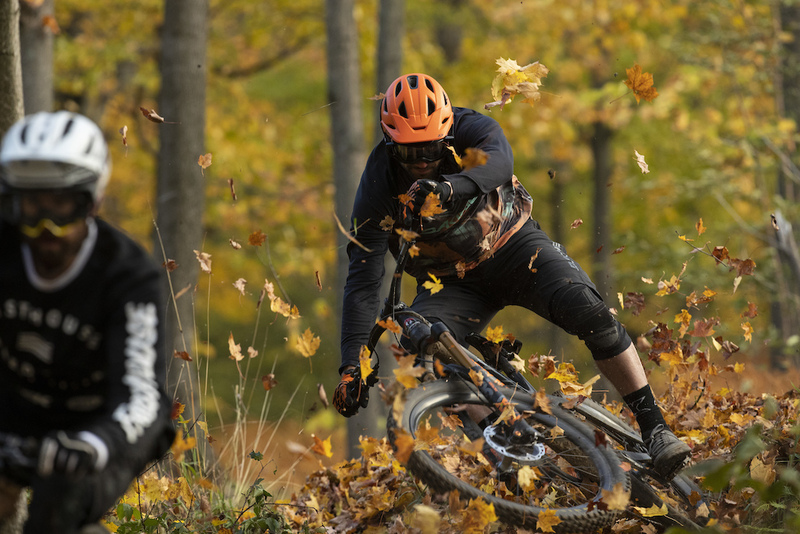 For the many parts of the world that experience colder climates, autumn is a special time for mountain bikers. 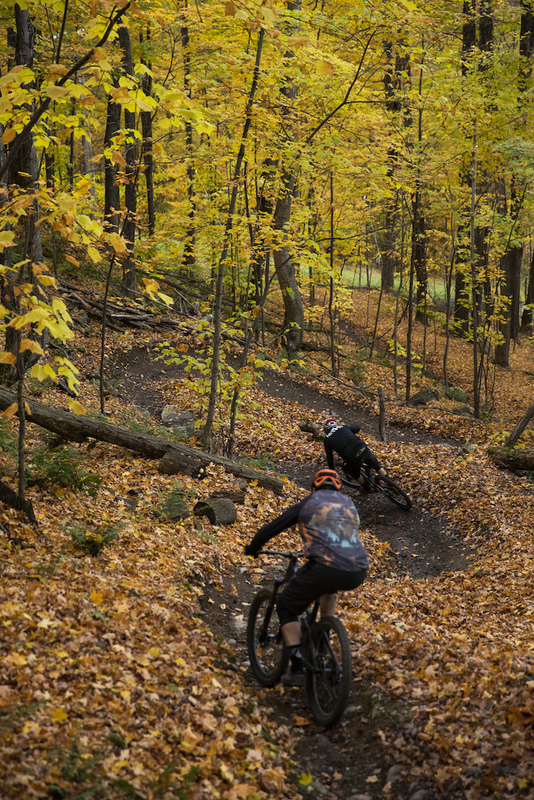 The encroaching winter creates a sense of urgency; prompting riders to hit trails as much as they can before dirt is blanketed with layers of snow and ice. 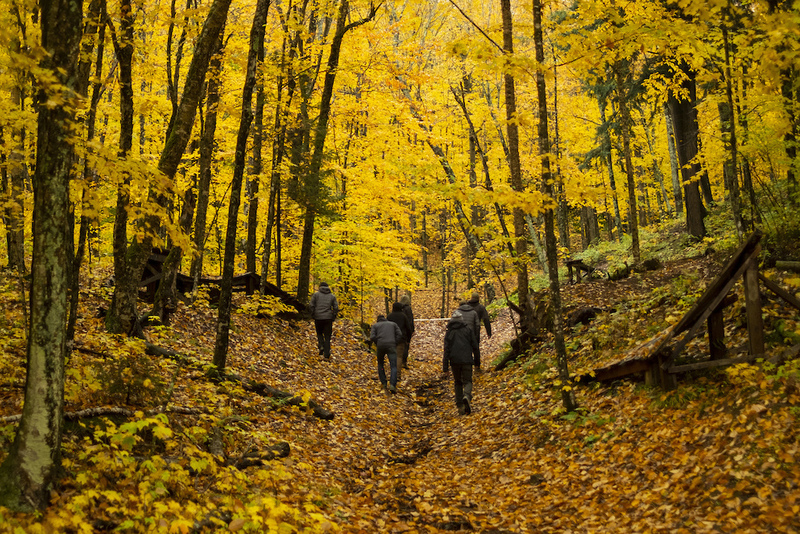 Autumn in these regions also puts one of Nature’s finite moments on full display: Fall Colours. It’s easy to take this natural phenomenon for granted, but the timing is actually quite hard to predict. 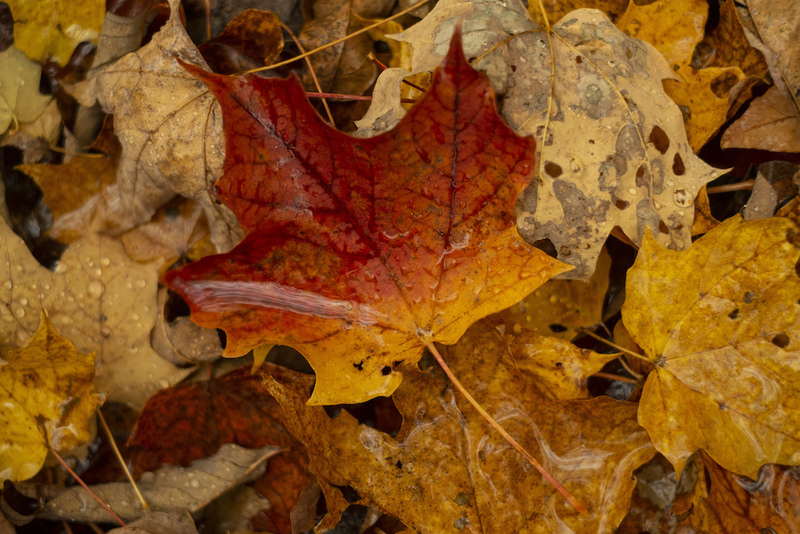 Leaves change at different places and times depending on the elevation, aspect and local weather conditions. 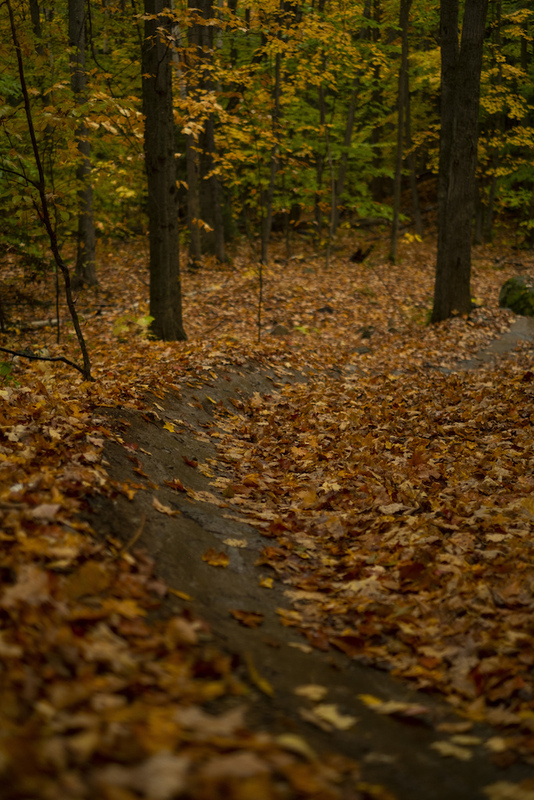 In the end, it just comes down to spending as much time on the trails as you can and when the timing’s right, you can experience the surreal feeling of riding through one of Nature’s fleeting moments. One of the most colourful spots in North America during the autumn months is in the low, rolling mountain ranges surrounding Bromont, Quebec. 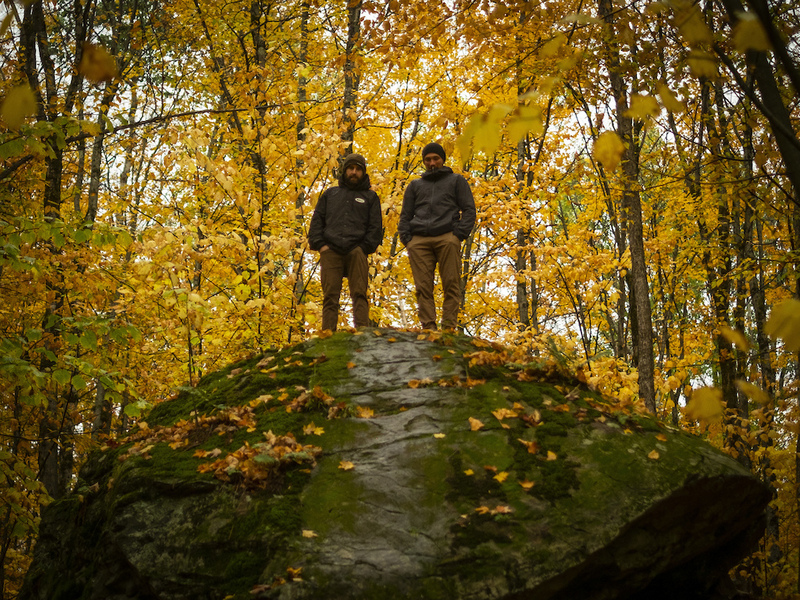 For Return to Earth’s Fall Colours segment, the Anthill team (along with athletes Thomas Vanderham and Ryan Howard) chose this location for its trails as well as its vibrancy. 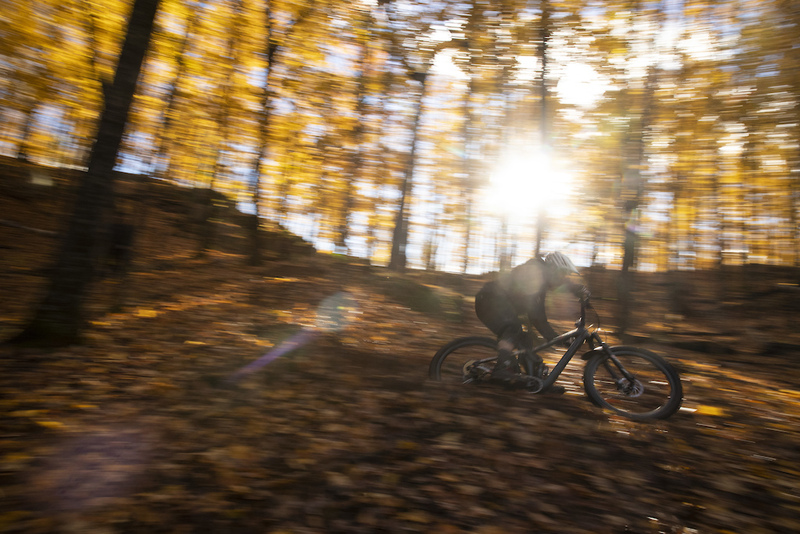 We caught up with Thomas to chat about the experience of filming in Bromont, the opportunities he’s had as a professional mountain biker and how he chooses to spend his most precious resource - his time. We had a ‘microscope’ on the leaves trying to time it perfectly. It was really interesting to see the fall transformation. When we arrived the leaves were firing in colour but there was still a good mix of green on the trees as well. Throughout the two weeks, it changed a lot and we were really sensitive to it. I’ve certainly never watched leaves that closely, I’ve always sort of appreciated them as a passerby. It was cool to be that in tune with what was going in the environment around us. I think that’s something I’ve gained with experience. I feel like I took certain things for granted when I was younger. These opportunities presented themselves and I found myself in crazy countries with other riders that have become amazing friends since then. It’s taken time for that to sink in. Now, it’s in the forefront of my mind when I get opportunities like that. Experience had led me to appreciate things more in the moment. 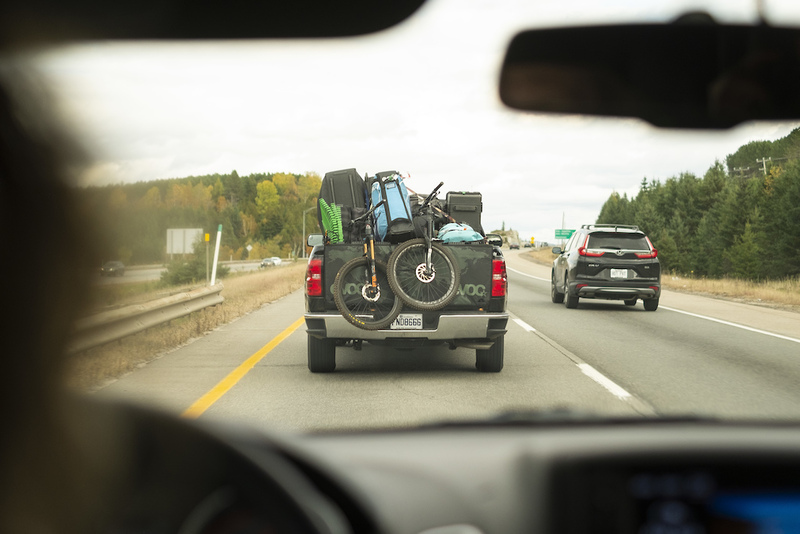 I think mountain biking is there as a form of escape for many people, most people have the opportunity to use mountain biking (or another form of outdoor recreation) as a conduit to escape into a more engaged moment. In my youth, there were plenty of distractions around that I could have taken part in. A lot of my friends were really into video games and I never saw the appeal of that. I chose instead to spend my time on my bike. The same distraction is there now, maybe more so with phones and the internets, but it’s still a choice that you make: go ride your bike or don’t. Return to Earth. Summer 2019. Brought to you by Shimano and Trek Bicycles featuring Brett Rheeder, Brandon Semenuk, Casey Brown, Reed Boggs, Matt Hunter, Thomas Vanderham, Ryan Howard, Joey Schusler, Thomas Genon, Emil Johansson, Tahnee Seagrave, Koas Seagrave, Kade Edwards, Jackson Goldstone, Jakob Jewett and Dane Jewett in association with Pinkbike, Trail Forks, Evoc, Clif Bar, Whistler Mountain Bike Park, Sony and Freehub Magazine and additional support from Rocky Mountain Bicycles, Spawn Cycles, Arosa Lenzerheide. A new film by Anthill Films with art direction and creative by Good Fortune Collective. @anthill Good lord, how fast can that cable cam go? Would love a bike check on Thomas's Slayer. Mainly because I have one but the people need it! So much good stuff in Quebec and the colors just make it that much better. Can't wait for this movie. Cant wait for episode 2!!!! Telluride is hard to beat with some amazing colors and scenery as well. Killin it guys! Soooo good! Presented by Trek and riding RMB? Wow, I need to get myself a beard!